It’s one of those glorious early spring days that England enacts so well. I have sat in the garden, drinking black tea, and reading Theodor Adorno and Max Horkheimer’s The Culture Industry: Enlightenment as Mass Deception. I’ve been preoccupied with this text for the past three years or so. This is the fourth time I’ve read this chapter of the book Dialectic of Enlightenment, which I’ve yet to read from cover to cover. This particular chapter performs Morpheus’s red pill in The Matrix. 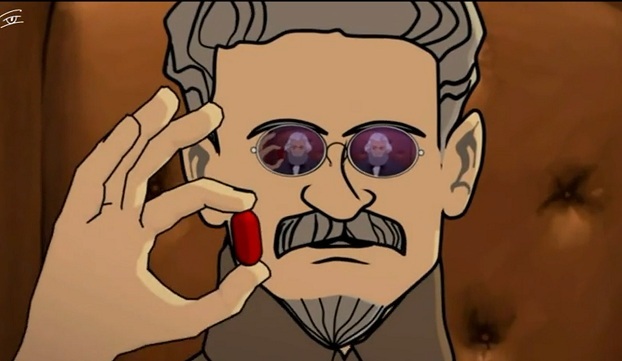 “You take the red pill,” he says to Neo, “and I show you how deep the rabbit hole goes.” Jason Barker extends the same metaphor to his film Marx Reloaded, where Leon Trotsky, playing Morpheus, offers the choice of blue or red pill to Karl Marx as Neo. Adorno and Horkheimer’s text is not without inadequacies. It is important to recall the socioeconomic context. Written in the early 1940s by two ethnically Jewish, German émigrés in the aftermath of the war, the dourness of their moral outrage is to be expected. 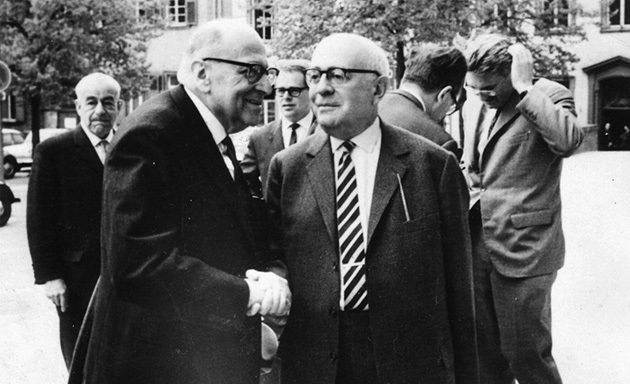 In short (and I recommend you read the essay), Horkheimer and Adorno’s essay is trying to reawaken people from the mind-dulling consequences of the modern culture industry, an argument even more relevant today than in the 1940s. Importantly, Adorno and Horkenheimer’s essay is not an attack on consumers but on the producers of banal, repetitive cultural goods – films, books, music, magazines – calibrated to obviate the necessity of mental effort and independent thought. The result is a passive audience caught up in a loop of endless consumption. For what end? Horkheimer and Adorno argue that this “entertainment” distracts us from the dehumanizing nature of most forms of modern work, and engenders a cynicism that deadens our political will to overcome a decadent and exploitative socioeconomic system. Why do its consumers lap up the banal nonsense offered as art and entertainment? Instead of objecting they fetishize it. 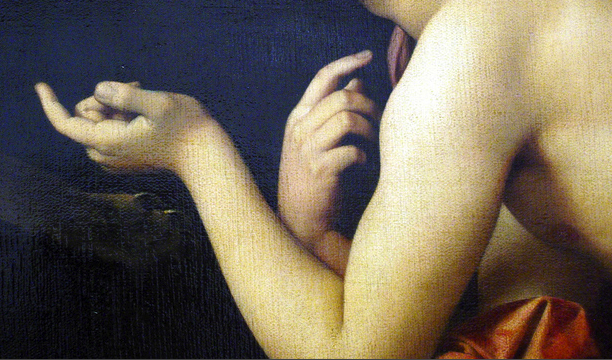 Witness the mindlessness of today’s fixation on celebrity. It would come as no surprise to Horkheimer and Adorno that a supposedly enlightened society has returned to the fetish. The brilliant part of their argument is that it is precisely the repeated exposure to forms of entertainment (they pick the American film industry) that repeatedly excite and manipulate the senses to deaden them (Deleuze, if I understand correctly, also writes of the dulling effect of “bare repetition”). Consumers are enrolled in their own pacification. In this age of universal publicity any invocation of an ideal appears suspect to us. We have learned how to identify abstract concepts as sales propaganda. Language based entirely on truth simply arouses impatience to get on with the business deal it is probably advancing. Horkheimer and Adorno close their essay, noting that rampant cynicism about popular culture and commodification does not obstruct its consumption. Consumers acknowledge its manipulative intent and yet take part, which is the systematic “beauty” of the cultural model. But the cynicism that is engendered supports complacency, reducing expectations of the state, of media, of business, and diminishes political will to mobilise against injustices. As Horkheimer and Adorno saw only too well in the years leading up to this essay, cynicism-induced complacency plays into the hands of right-wing agendas. This entry was posted in Gilles Deleuze, Karl Marx, Leon Trotsky, Max Horkheimer, Theodor Adorno by Anthony. Bookmark the permalink. Thanks for this. Just some quick reactions in passing. I suspect Deleuze might mention the fatigue, the exhaustion associated with new modalities or juridical-economic-psychoanalytic regimes of simulacra/duplicity — I might submit it’s around the phantasm that he sounds almost Baudrillardian, whom I would suggest reading here as taking this critique of “culture-industry” (as unlimited reproducibility-banality-decay) to its highest power, all the way to micropolitics and becoming-cosmic — in other words, in simulation we witness post-capitalism generating a wholly new ontological category, which “infects” the substrate, tending to dissipate the borderlines between things and essences, models and copies (Guattari say somewhere of how the flesh of sensation is interwoven with the material of the sublime…) At any rate, the reading of Adorno here is striking; in particular how perspicacious (even “machinic”) the Dialectic of Englightenment would seem to be in terms of providing a “cartographic” deconstruction of intergrated world capitalism: instead of goods, commodities (machines), it becomes clearly we generate signifiers, subjectivities (stratification/desaturation). It strikes me that today we can catch of a glimpse perhaps of an even higher order of reorganization — that the mode of production is already undergoing another revolution, accelerating towards an even more inhuman horizon (the direct generation of intelligence….) Anyway — just some thoughts. Thanks again. Thanks so much for this! Just some quick reactions in passing. It seems to me Deleuze’s important here might be located in a certain understanding of the fatigue, the exhaustion associated with saturation, with new existential territories, or juridical-economic-psychoanalytic regimes — I might submit it’s around the phantasm and simulation that Deleuze sounds almost Baudrillardian (whom I would suggest reading here as taking this critique of “culture-industry” as unlimited reproducibility-banality-decay to its highest power, all the way to micropolitics and becoming-cosmic.) — in other words, in simulation we witness post-capitalism generating a wholly new ontological category, which “infects” the substrate, tending to dissipate the borderlines between things and essences, models and copies. Guattari says somewhere how the flesh of sensation is interwoven with the material of the sublime… The reading of Adorno here is striking to me; in particular how perspicacious (even “machinic”) the Dialectic of Englightenment would seem to be in terms of providing a “cartographic” deconstruction of intergrated world capitalism: instead of goods, commodities (machines), it becomes clear today we directly generate signifiers, subjectivities (stratification/desaturation). It strikes me also that perhaps we may catch of a glimpse here perhaps of an even higher order of reorganization — that the mode of production is already undergoing another revolution, accelerating towards an even more inhuman horizon (the “pure” generation of intelligence….) Anyway — thanks again for these reflections! Thanks for the reflections, Joseph, much appreciated. Your remarks about Deleuze and Guattari reminds me that this must be the year I get more deeply immersed in their work; sounds perfectly intriguing.